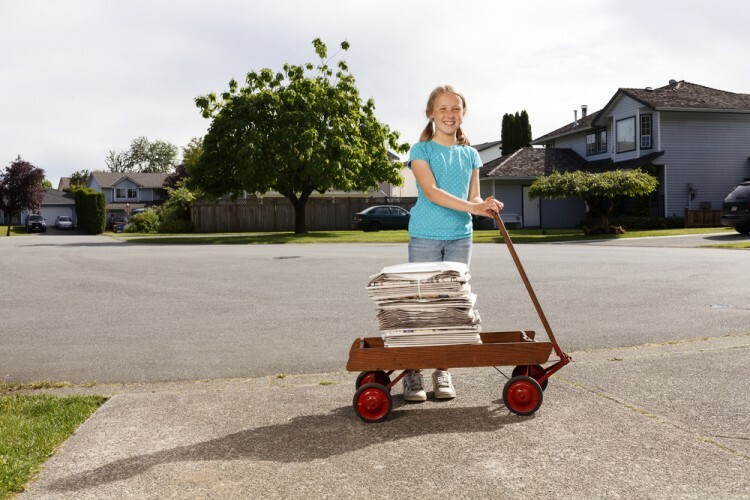 It does not matter if you are still very young, if you want to earn money there is always something to do, so we bring you the list of best paying summer jobs for 10, 11, and 12 year olds. We know that the concept of free time sounds much better when you use it to hang out with friends, play computer games or read books, but imagine using a little bit of that free time to earn money. Sounds great, doesn’t it? Of course, teenagers also may always decide for the option of working during summer holidays, in which case there is our list of 5 Highest Paying Summer Jobs for Teens. Your time after school is precious, and so are your summer holidays. You have to divide them into time for studying a little bit, resting, and, if you listen to us carefully, working. Of course, we tried really hard to find only those options which are worth spending your time on, since we know how most of the jobs for kids your age are poorly paid and worth almost nothing. We rolled up our sleeves, and checked many discussions regarding the best possible jobs, eventually making up our own list according to final salaries. In order to come up with the list, there were many useful websites that really helped us, and among them the most important were How to make money as a kid, Kidz World and Boostapal. In general, all we want with this list is to give you some food for thought, and to make you think about how cool it is when you have your own money, so you may always save for something you really want, buy some things that you have always wanted, or surprise the people you love with some presents and other simple things. Remember that it is really important to develop your working habits, and that if you start doing it from a very early age, it is more likely that you are going to be quite successful in the future. Of course, don’t forget school, and don’t forget that it is very important to be good at your school subjects, but working and earning money on your own can also teach you some very important life lessons. Taking all this into consideration, it is high time to focus on the specific summer jobs, so make sure to read this list of best paying summer jobs for 10, 11, and 12 year olds.